The name Quinn Sullivan may not be familiar to many, but his guitar playing proficiency that's to be found here is sure to guarantee he has a great musical career ahead of him. 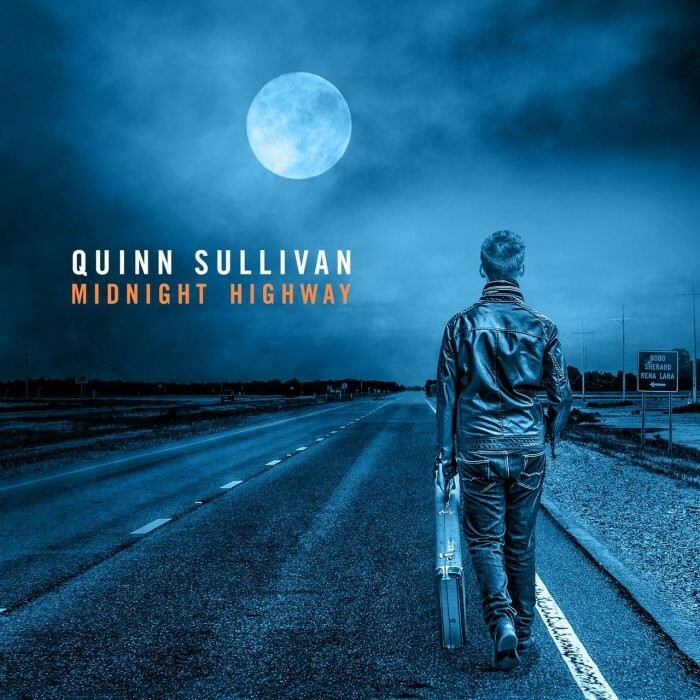 Massachusetts born Sullivan, now seventeen, has been playing for around a decade and shared the stage with an impressive list of Blues greats including Eric Clapton, Joe Bonamassa, BB King and Buddy Guy. This is his third studio outing and sees him flexing his muscles in a more commercial direction whilst staying true to his roots. 'Something For Me' kicks in with its overdriven Blues groove and Honky-Tonk piano that conjures up an image of a band on a stage in a Memphis bar having an absolute blast – 12-Bar Blues at its best! The "radio-friendly" 'Tell Me I'm Not Dreaming' takes a Pop Rock direction in a similar vein to The Rembrandts and shows Sullivan's clear warm voice working well. The title track slows the pace and introduces a Bluesy Country flavour as found on the early Eagles albums. The quirky 'Crazy Into You' ventures into new territory with its interesting rhythm accompanied by Sullivan wringing out screaming riffs and great lyrical content. Much of Sullivan's inspiration comes from his mentor Guy, but his style has not been constrained to the classic Blues genre and the track mix here is refreshing. Producer Tom Hambridge has done a fine job in making the album sonically spacious and the track sequence holds plenty of surprises. 'Lifting Off' and 'Graveyard Stone' propel us into the Disco/Funk of the seventies and blends with the Pop commercialism of the eighties thus making these tracks truly inspirational. 'Rocks' has a British feel – perhaps a modern Kinks sound and really gets the blood pumping. Sullivan is a lover of The Beatles so it's not surprising that he plays tribute to that with 'While My Guitar Gently Weeps' which is scarily close to the original. The instrumental 'Buffalo Nickel' ends the album showcasing Sullivan's guitar tone, feel and emotion. The sheer mastery of his instrument in one so young is nothing short of astounding. Every track to be found here has merit and can stand up on its own. 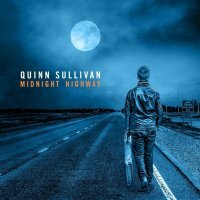 The song-writing, playing and singing accomplished by Quinn Sullivan here belies his age and one can only wonder what he will produce in the future. Either way it's sure to be good!